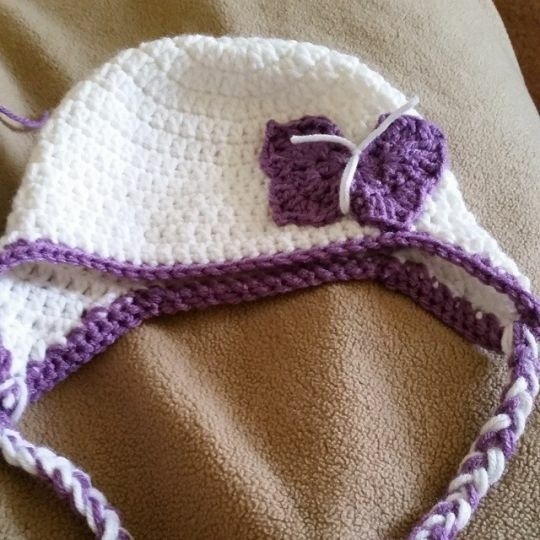 A co-worker asked me to make her a baby beanie with white and lavender. Special request was to add a butterfly. I got the pattern from a book I’ve purchased (Hats & Diaper Covers, Book 2) and changed the overall details to just plain white and lavender. The butterfly I got off of http://dishclothdiaries.blogspot.com/2010/06/2-d-butterfly.html.